Irfan helps teams to deliver quality in their software faster, continuously and on the scale. 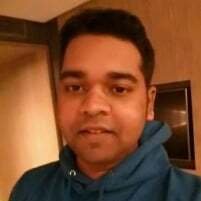 He currently works as Release Manager at UpGrad leading the Testing and Releases practices. In his free time, he loves writing humor and building game apps on mobile for fun.He has built apps and games for Web, Android, iOS, FireOS and chatbots platforms. Imagine what if everything is automated , now what ? are you done yet ? No , We still want our team's deliverables to be clean and unambiguous, reducing friction in our delivery pipeline , but how is this possible forever ? Solution - Container contracts to facilitate clean deliverables between teams. A Container contract is a clean line of separation between teams, where the Docker image is both the borderline and the unit of exchange. At this talk, we will learn how to leverage the container technology to solve the challenges of the delivery pipeline with Container contracts. 2.The product,testing or Operational code and its infrastructure are growing at scale with more complexity, dependencies and technology diversity.